If you don't know me, my name is Michelle Mullins and I am the Founder of aromaLife and creator of the beautifully healing practice, aromaZen. aromaZen is a culmination of all of my favourite influences including yoga, tantric practices, essential oils, meditation, music, percussion and sound. There are many different ways to find peace and connect to your inner wisdom. Everyone has their own preference to which way they choose. Finding your way and doing that often is in my opinion one of the most important for your overall health and happiness. I’m someone who loves colour, texture, heart opening music, high quality essential oils, restorative yoga practices, deep breaths, self expression, play, fun and creativity. As a kinaesthetic, highly sensitive empath, I choose gentleness and being kind to myself as an important step in my pathway to manage pain and overwhelm, and to living a more vibrant, empowered and joyful life. Through my love and experience in Tantra, I’ve included embodiment practices and breath work in the guided meditation that deepen the connection to each chakra and create more release and connection. I am someone who needs to feel and do things for myself to really understand and embrace new learnings. That is what embodiment is, taking your process into your body to be explored, making the feelings tangible, actualised and felt, so we can understand them fully. Incorporating the doTERRA oils to our inner contemplation meditation helps us to connect and feel our own emotional openings and blockages. They enhance our experience and support the process. Again, the oils connect us to the feelings, to allow them to surface, to be felt and to shift out of the energy field. aromaZen is a beautiful loving process for people to regularly experience. It encourages openness and nurtures the feminine, which is important for women and men. One thing I have to share, is that over the past 3 years, I've been constantly so humbled by the feedback from participants after an aromaZen Mediation. It's always amazing and often people feel transformed in ways they haven't experienced, which to be honest, surprised me at first, but it just kept on coming, so much so that this was my call to action. It's been the call of others, people like you who are looking for something new, who have connected so deeply to themselves in this practice that they just want to share it with others. Many have asked if they can offer this to their loved ones and or students, so this is why I'm now offering this learning pathway with you. I attended one of Michelle’s AromaZen mediations (for the first time) a week prior to the facilitator training. Knowing very little about the different Chakras or aromatherapy oils, I walked in open-minded yet unaware of what to expect. Some experiences stand out in life, some do not! After the meditation, I felt the best I had in such a long time. I experienced more self-awareness, clarity and a freedom within self that was too enticing to ignore. Hooked, I cancelled all plans for the following weekend and signed up for the facilitator training asap! Michelle is a truly beautiful teacher. Her extensive knowledge of the content, partnered with her compassionate, supportive and energetic nature, makes for a very inspiring and uplifting weekend. Thank you Michelle. I am truly grateful for your teachings’ and generosity. Are you feeling the call to delve deeper into your own self growth? Maybe you're looking for a new pathway in your career? The Journey is a three stage process in the healing arts taking you from a beginner to a certified aromaZen Facilitator. aromaZen essence is for you! aromaZen awaken are for you! The awesome thing about doing both of these, is that if you then decide, "yes I want to move on to become an aromaZen certified Facilitator"to run your own classes , then there is just one more unit and you are you're there! I know I want to become an aromaZen Certified Facilitator! Keep scrolling down to see the full offering. 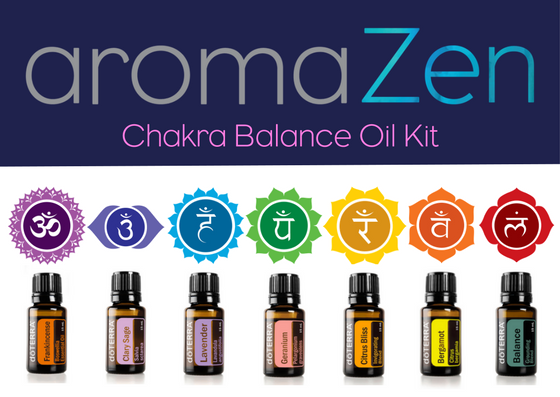 This weekend is the beginning the of the aromaZen pathway to become a certified aromaZen facilitator or it is or can be a personal development weekend for anyone curious to explore essential oils, chakras, meditation and the healing arts. The intensive weekend unravels the aromaZen process is more detail, we unpack it, discover the ancient teachings, learn techniques, practices and tools to manage our overwhelm, energy levels and overall happiness. By the end of this weekend you will feel connected to your self and more self aware and energised. You will learn how to do your own aromaZen mediations for yourself at home and even share with friends and family. You will have learned new skills and have the tools to bring about a whole new level of emotional healing for yourself and those you love. Zen Nidra - Yoga Nidra Explained and explored for to ease stress and the nervous system. The Power of Manifestation and the missing elements that sabotage us from fulfilling our desires. Effective Communication and space holding space for others. Gift Pack with tools for energetic cleansing including sage smudge stick and palo santo for clearing and protection, aromaLife essential oil case to keep your oils safe. All the doTERRA therapeutic essential oils are provided for your use over the weekend Immersion. Morning and Afternoon Tea will be provided on Saturday and Sunday. 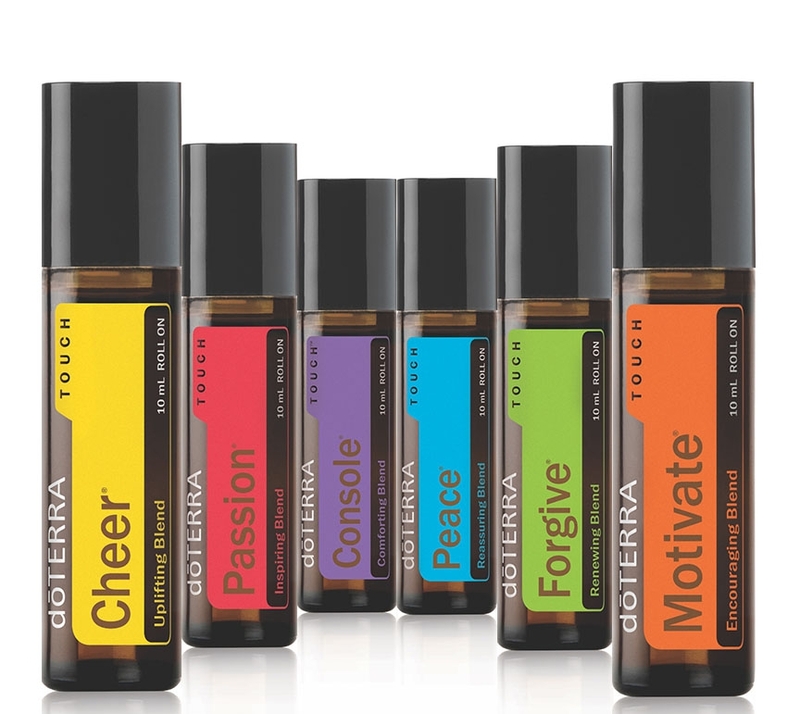 Order the doTERRA aromaZen Kit & Emotions Kit and get a FREE Diffuser with your three month plan! When you complete aromaZen Essence Weekend Immersion, you will be invited to join a FREE Masterclass ( Webinar ) where we will show you how to create an aromaZen style class, education platform and 3 month LRP strategy to build your doTERRA business. You may decide that aromaZen essence weekend intensive is enough for now, or you may find yourself wanting to delve deeper into the chakras and work a little more on your own healing journey. If so, then the next step will help you to uncover your own personal patterning and blockages in aromaZen - 7 week program. Learning from Michelle was a wonderful experience. Her down to earth nature and warm approach made for a truly enjoyable weekend, not only learning how to facilitate an aromazen but experiencing self growth throughout the learning process. Michelle is so generous with her time and knowledge and takes the extra effort to ensure you have the knowledge you seek. Thank you for creating a supportive and fun learning environment! The 7 week chakra exploration class is a deep dive into each of the energy centres (1 chakra per week) and is a follow on from the aromaZen Essence foundations weekend immersion. aromaZen Essence is a prerequisite to aromaZen Awaken as many of the practices covered in the weekend are used throughout the 7 week journey. For those looking to teach others, or curious about becoming a certified aromaZen facilitator, this module is an integral part of this process as it offers you the opportunity to do the self work required to really embody it. Through your own direct experience you will acquire the wisdom and knowledge to effectively share authentically with others and feel confident to hold space and create a safe environment for others as a facilitator. Each week we will explore our own connection and personal experience in each energy centre, how it presents in behaviours when out of balance and how it looks and feels in harmony. We will travel together, week by week with time in between to reflect and explore our habits, triggers and patterns as well as new skills and techniques to shift negative ways and inspire real change. You will be guided through a sequence of meditations and activations, gentle yoga postures, breath work, and other exercises designed to energetically wake up your highest potential, activate DNA memories and gain inner wisdom into our personal inner terrain. A combination of the practices and techniques below will be used each week plus we will finish each weekly class with a guided meditation, Zen Nidra and Sound Healing to allow your to fully receive and nourish yourself prior to going home. Gentle yoga postures and techniques designed to strengthen and activate each chakra. Guided Meditations created for Chakra Activation. This program will embody the chakra work and provide you with self awareness, skills and tools to manage your energetic and emotional health and wellbeing. You will experience, self growth, clearing of heavy negative energies that are holding you back from being your brightest versions of yourself and a more balanced, happier, energised you. Every class will end with a guided meditation yoga nidra, sound healing. * For aromaZen Facilitators this module is essential for certification. Are you looking to step up into a new space as a Facilitator? Would you like to add a new unique and creative healing modality to your wellness business, essential oil biz, your studio or healing space? Does being part of a larger like minded group of professionals and therapists, that offers support and sharing of resources, tools and experience appeal to you? This is the final Module of training to become an certified aromaZen Facilitator. You will be able to now share the aromaZen 1.5 hour class and a larger 1/2 day workshop commercially. Effective Opening and Closing of a Healing Space. Private Facebook group for aromaZen facilitators. 3 Private 1 hour Personal Mentoring Sessions with Michelle to help you create your own aromaZen business and help you to work into your own business. Weekend in early 2018 will be announced at a later date.. stay tuned facilitators! aromaZen is looking for committed, passionate like minded leaders that will become aromaZen Trainers, offering a platform for you to run your own aromaZen Essence, Awaken and Fusion programs in your hometown or state. To be considered for these positions, you will need to have finished the full accreditation process. Here are some words from those who have experienced the aromaZen class. A profound experience from start to finish. I felt a deep sense of release and relief by the end. I felt deeply connected to the earth and even the other participants in the room at the end, but during the practice, complete inner focus and inner work. Thank you Michelle for this beautiful session. Beautiful workshop, the space was very well held. I felt safe and trusted in Michelle, Dee and Shey. The oils feel like they have and they are helping me restore my sanity as I’m going through a stressful faze.The sound bowls, drums and chimes transported me into myself. I’ve missed this space. Thanks so much. Tick the stages you are interested in attending. If you have any specific contact instructions such as day and time best for a phone call, please provide here. Also, if you'd like to leave a note outlining your background, please free to add here. Otherwise, we will discuss this when we call. Thank you for your expression of interest to become an aromaZen Facilitator. We have received your submission and will reach out to you very shortly to discuss the training in more detail.